Convert player enjoyment and passion for soccer into commitment and love of the game; deepen game intelligence, strengthen team concept and individual and group tactical abilities; accelerate speed of ball mastery skills; expand team tactics. The Maroons U13 and Maroons U14 are year-long programs that feature competitive league matches of 11 players vs. 11 players on a standard field. League play is in the fall and spring and players have 2-3 formal training sessions each week. Core focus is on growing technical proficiency of first touch and increasing speed of tactical decision-making, application of the principles of play and increased game intelligence and reading of visual cues. Players should be consistently demonstrating advanced proficiency of the Maroons Style of Play. See Player Age Chart to confirm appropriate player placement on Maroons U13 or Maroons U14 for players turning 13 or 14 years old after August 1st, typically 7th & 8th graders. Players must tryout, based on age, and be selected to a team. Players can “play up” based on grade and ability, if they are selected to those teams through tryouts. Players are selected based on a high level of technical and physical ability as well as a demonstrated level of game intelligence and tactical ability. There will be a high level of players cut at tryouts. A year-long program where, following a tryout, players are added to a specific team. Teams typically train 2-3x week and play 10 competitive league games in the fall and 10 games in the spring. League matches are played 11 players vs. 11 players on a full size field around the metroplex. In the fall, league games for boys are mostly played on Saturdays and girls on Sundays; in the spring, games are mostly played on Sundays. Each team’s activities will vary during the winter. Each team is lead by a properly qualified Professional Coach Trainer and/or Parent Coach. These teachers must meet a minimum level of qualification, holding at least a NSCAA Level VI Diploma or equivalent; the NSCAA National Diploma or equivalent is highly recommended. The teachers, or trainers, should be Professional Coach Trainers who have a strong personality and demonstrate high soccer knowledge, ability to manage the team and interpersonal relationships, including high emotional intelligence. Professional credential coaches are selected by the Maroons Director of Player Development & Coaching to run the weekly training sessions and manage the matches; In some occasions a Parent Coach who has a demonstrated soccer knowledge, an ability to analyze the match for individual, group, and team play, who is patient but demanding, and who is able to attend training sessions, might manage match day. Each teacher is guided by the Player Development Pathway including the Maroons Style of Teaching, Maroons Style of Play, Guiding Curriculum, and Club Expectations for Coaches. Total estimated annual cost for U13 and U14 is $935 to $1200. Fees include registration payment to Club ($450), uniform (if previous uniform needs replacing, estimated at $85), and team fees (estimated $400-$665). Fees cover professional training, games, referees, one tournament (for U8-U12 teams this is the Maroons Father’s Day tournament), insurance, fields, lights, and other Club expenses. Fees paid to the team will vary based on varying factors, including if a team has a paid professional trainer coach for game day, winter activities, team camps, additional tournaments, etc. A team budget should be prepared at the start of the season by the coaching team and the team manager. This budget should be shared with the team for agreement and understanding. Each family would then contribute the necessary amount at the start of the year. Individuals should have a high level of ball mastery allowing this curriculum to advance tactical understanding, including advanced combination play, small group possession, transition, and Speed of Play. Featuring increased training loads. Curriculum builds on what players have learned previously, sharpening all technical abilities and making them more effective in group interplay. Dominant use of guided discovery. All sessions must challenge player in competition. Advanced Diamond Shape/Double Diamond/Group Interactions; Start Phase Play tactics and Group Interactions; Focus on decision making based on visual cues; Transition; Individual & Small group tactics; # Up, # Down; Individual and team Possession, especially in small spaces; encouraging risk taking in proper areas; Penetration; Support; Mobility; 2v2, 2v3, 3v2, 3v3 attacking & defending; Combo Play; strengthen proficiency of 2nd Attacker & 2nd Defender and 3rd Attacker & 3rd Defender; Zonal defending and channeling; Compactness; Defending and attacking as a group; Introduction of set pieces. SYSTEMS OF PLAY: Full-sided play 4-3-3, 4-4-2, 3-4-3; Coaches should expose players to 2-3 systems during season. Speed training, core; Aerobic & Anaerobic; work rate and intensity; Endurance; Core strength; Sports nutrition & hydration; dynamic warm up; cool down and static stretching. 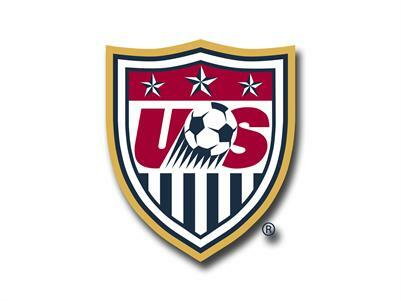 Watch high level soccer; Come out & plays; Team training shirts; Post session team traditions (e.g. slurpees at 7-Eleven). Continue to allow players to play all positions (backs, midfield, forwards) as this is an important aspect of learning and player development. Some players might gravitate toward more specific positions (goalie, backs, midfield, forwards) and those players should be allowed to further develop their abilities if that is the player’s To continue balanced development, each player should still be rotated into other positions given the benefits received for better game understanding. Playing time is not required to be equal. Players are able to earn increased game time based on dedication to soccer, commitment, effort, attitude, skill level, and training mentality. Flexibility in game time is allowed for high level teams playing in State Cup or other high level competitions. For league matches, it is recommended that, on average, game time reflect an average of 30 minutes a match for all games attended over the course of the season. Players earn the right to be team captain. It is recommended that captains be selected based on each week’s participation.